Lovelane is a therapeutic horseback riding program that has a dramatic impact on the physical and cognitive development of children with special needs. 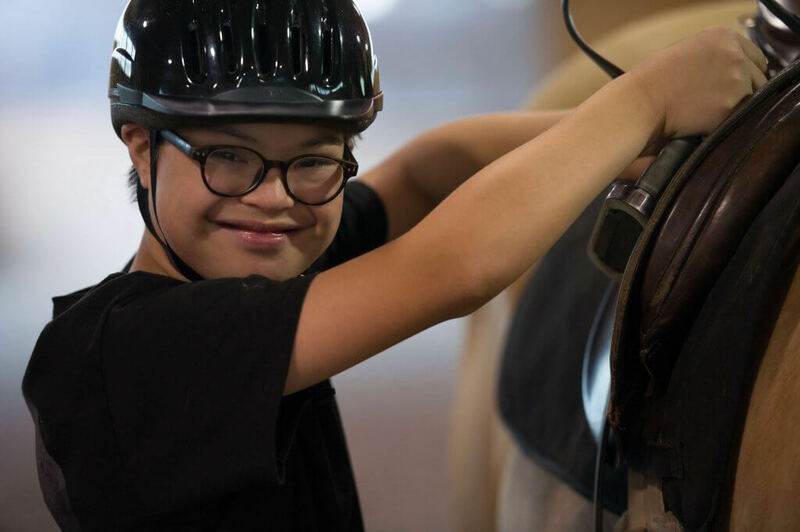 Since 1988, Lovelane has been committed to providing an individualized program for children with special needs that integrates the pure joy and freedom of riding a horse with the appropriate therapy to achieve the child’s specific therapeutic goals. In 1992 Lovelane was incorporated as a non-profit and grew to become one of the most respected therapeutic riding programs in the area. A successful capital campaign in 2004 enabled the program to move into a permanent home designed exclusively for the special needs population. The facility includes indoor and outdoor arenas, a therapy room, office space, horse stalls and access to outdoor trails. The program more than doubled in size enabling more children to receive services. Currently, Lovelane provides services to 130 students a week with the help of nearly 200 volunteers. Lovelane does not replace other therapies, but is instead an integral component of the child’s overall treatment plan. As our population tends to have multiple therapies, Lovelane integrates the whole child into the goals and objectives. Lovelane Special Needs Horseback Riding Program is an accredited member of PATH, Intl., Professional Association of Therapeutic Horsemanship®.